For centuries the table has been a place where people gather to relax, share food, tell stories and generally enjoy each other's company. Tables are invariably set for all kinds of social occasions and may be inspired by a variety of styles and historical settings - from dramatic displays of personal treasures to simple and purposeful gatherings. 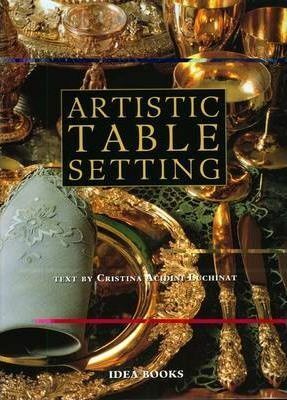 This new book by Cristina Acidini Luchinat, director of the Florence Museum Association, and beautifully photographed by master photographer Massimo Listri, reveals the art of table setting. Juxtaposing tables set for ceremonial dinners - where every object is worthy of a place in a museum - with rustic tables that carry an age-old tradition of simplicity, "Artistic Table Settings" features tables set for artists, inventors and designers. Each setting inspires a desire to recreate the scene at home, matching decor with ambient charm.